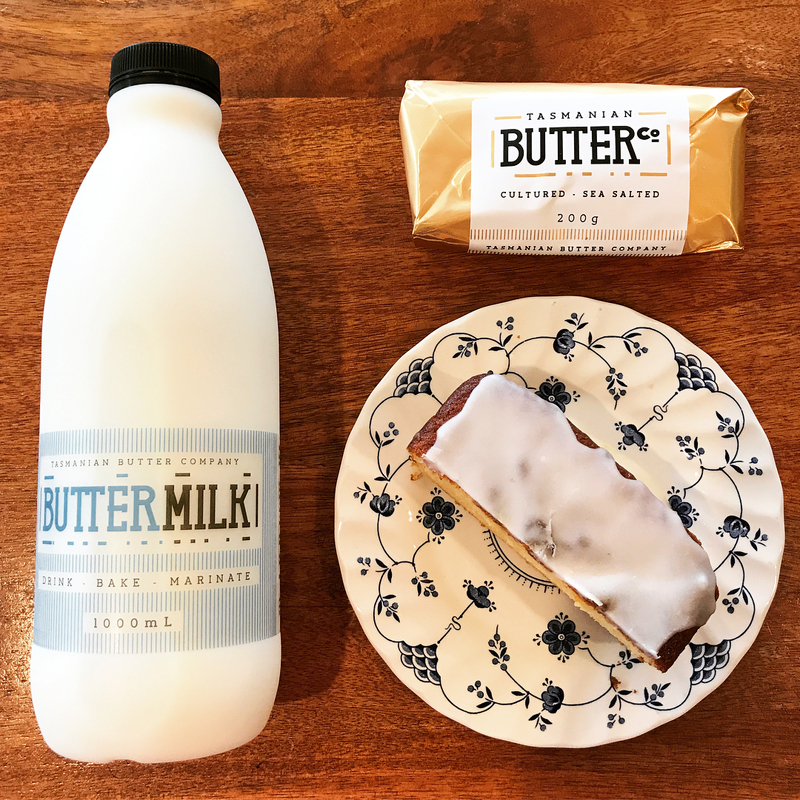 Tasmanian Butter Co's Lemon Tea Cake - Tasmanian Butter Co. Butter and line a 22cm loaf tin with baking paper or if you prefer to be old school simply use butter and flour. Cream butter, vanilla and sugar until light and fluffy (approximately 3 minutes). In a bowl add eggs and lightly whisk together to break up the yolk (this will ensure that the eggs incorporate evenly). Then add small amount at a time to the creamed mixture, beating well after each addition. Sift flour and baking powder together then fold into creamed mixture alternating it with the buttermilk. Adding enough buttermilk to give the batter a soft dropping consistency. Finally fold through the lemon juice and zest (before adding the zest mix it with the juice so that it incorporated in the batter evenly). Spoon mixture into the cake tin and spread evenly with a palette knife. Bake for 40 to 45 minutes or until cake springs back when lightly touched. Leave in tin for 10 minutes before turning out onto a wire rack to cool. Glaze the cake when it is still warm to touch to give it a nice shine. 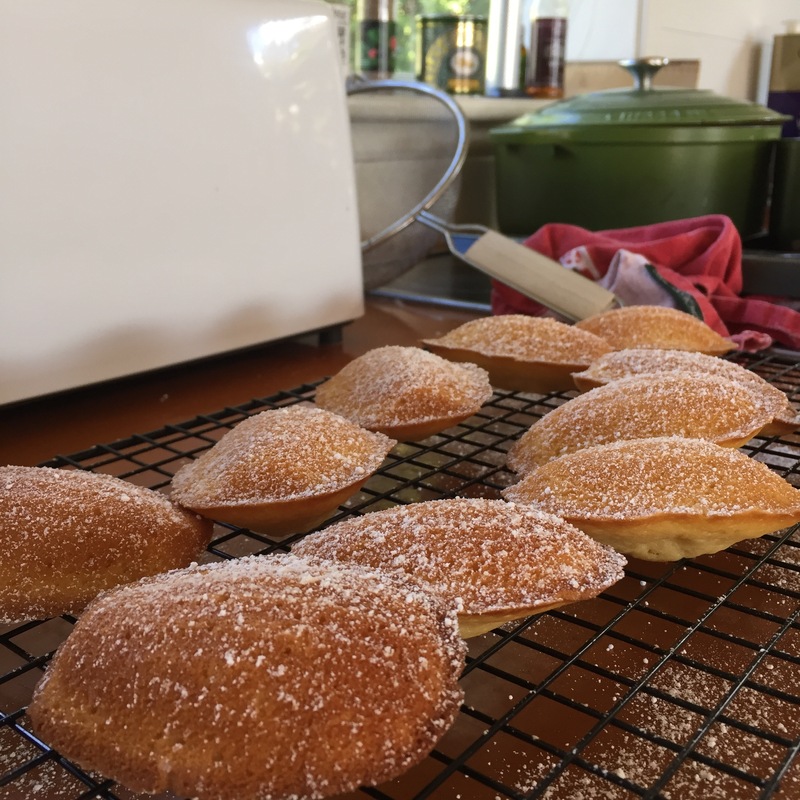 Sieve the icing sugar into a bowl and add the lemon juice to achieve a drizzly consistency. Pour over the cake when still warm to the touch and allow it to drizzle down over the edges of the cake. *This recipe was adapted from the edmonds cookbook butter cake recipe.